What 10 Key speed do you need for a data entry job? Why is the telephone keypad opposite the calculator keypad? Is there a difference between an adding machine and a calculator? Being an internal auditor takes the right mix of skills. To have successful internal audits, auditors need to bring several skills and traits to the game. Internal auditing is a profession that attracts several different types of individuals. Auditors can come from varied backgrounds including accounting, finance, computer science, science, English, literature, biology, chemistry, or social services. Because the backgrounds of auditors are so varied, it can be difficult to nail down the skills necessary to succeed as an auditor. There are, at a higher level, three essential traits necessary to be a top-performing auditor. Auditors must be present physically and mentally to satisfy client needs. Some auditors only communicate with clients when it is time to perform an audit. Like going to the dentist, if the only time they talk to you is when you have a cavity, you relationship with you clients will be sub-par. 10 KEY CALCULATORS HELP INCREASE YOUR EFFICIENCY AND SAVE TIME. 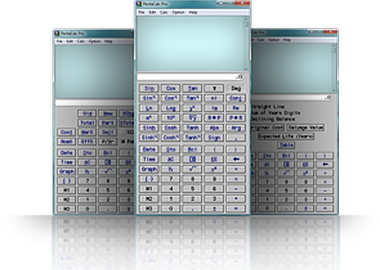 THE 10 KEY CALCULATOR SOFTWARE IS EASY TO USE AND USER-FRIENDLY 10 KEY SOFTWARE. Auditors should make it a point to visit audit clients at least once per year, more if possible, outside of performing any audits. In person visits are best, but if time or budgets are tight, video conferencing can be an effective alternative. Visiting clients allow auditors and clients to put faces with names read via email. Auditors must be proficient. Change is definite. Accordingly, auditors must continuously assess and update their skills. Passion plays a significant role in proficiency. People are good at activities they like, with a few exceptions. A computer programmer is most likely passionate about coding, and eats, sleeps, and breathes code. Auditors with the same passion will become proficient auditors. An auditor must first show up. Then, he or she must find a passion to become proficient. Finally, he or she actually perform. Presence, passion, and proficiency are no good if not put to use. If an auditor puts these pieces together, they will have the necessary tools for success. Omitting any of these elements can have a drastic impact on the success of an internal audit. Bring your 10-key into the digital world. Order your digital calculator today! Pentacalc is the most powerful 10 Key software available. With so many innovative features, you never want to go back to hand-helds. Get blog business and financial articles, updates, and promos.